Want To Know How To Open Identical Forex Trades On Many MT4 Accounts At The Same Time? 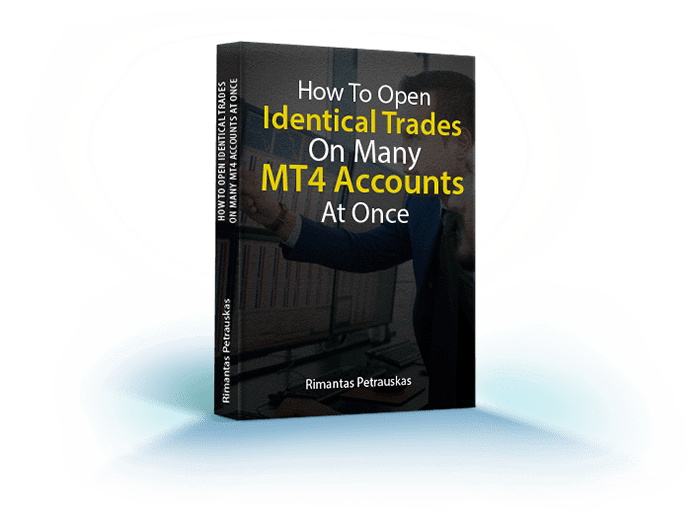 Download this easy-to-read eBook that explains how to open the same trading positions on several accounts at the same time by simply trading one MT4 account. I promise not to use your email for spam! You can trade on multiple MetaTrader 4 accounts simultaneously, duplicate the trades of any trading robot to your friends and family accounts (even if it is locked to your MT4 account number), create investment portfolios of many MT4 accounts, remove risk of unregulated Forex brokers, turn losing trading strategy into a winner and become an independent account manager immediately without the need to sign any contracts or opening expensive PAMM accounts with the broker.